This year's CCH Film Festival is heavily angled toward LGBTQ filmmakers, and for good reason. 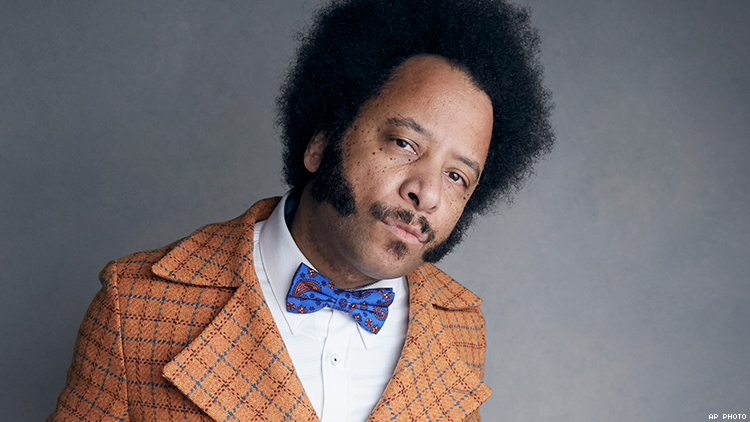 This year’s 2018 Columbia College Hollywood Film Festival, a free event that presents and honors original films by Columbia College Hollywood’s students and graduates, will be showcasing 44 films — many with heavy queer angles, including a panel called “Producing LGBTQ+ Content for Web Series and Shorts” — and a keynote address by rapper Boots Riley (pictured), who recently made his directorial debut with Sorry To Bother You, which he also wrote. The event, which takes place November 9 and 10 at Columbia College Hollywood in Los Angeles, will also have discussions with writer and animator Annah Feinberg (Ballroom Room, Veep, Arrested Development), film industry disabilities advocate and motivational speaker Becky Curran, editor Michael P. Shawver (Black Panther, Creed), and VP of Feature Film Development Ryan Turek (Blumhouse Productions). The 2018 CCH Film Festival is sponsored by Avid, Final Draft, LA Femme Film Festival, New Filmmakers Los Angeles, Backstage, and HB. For free registration, visit the Festival’s Eventbrite page.